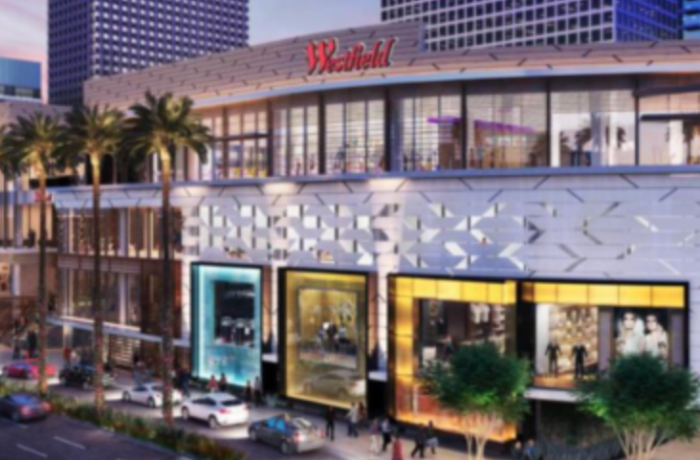 Los Angeles has many iconic shopping areas like Rodeo Drive and Melrose because people here want to be outside all the time, so shopping here is done outside A LOT but there is a major change that has come to the mall in L.A. - the mall now has to be a 'lifestyle center.' These are much more than just stores lined up side by side. Lifestyle centers offer dining courts that rival the best eaters, fashion show areas and stages, fitness centers, dog parks and much more. Westfield Century City in Century City just opened a few of its new stores with its massive, $800-million makeover to be completely redone by 2017, a new Macy's, a three-level Nordstrom and 50 new shops and restaurants. It will also feature an eight-acre outdoor event space. So far not enough is open to enjoy the space. Looks like it will take a while before the mall is back to what we have been expecting. It needs finishing touches and then one of my favorite spaces in L.A. will become one of my favorite places again.